Learn the fundamental parameters and formulas that define hydraulic equipment. 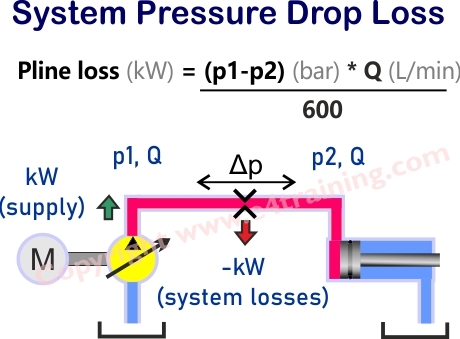 This section will explain some of the key calculations that control how well each system will perform. 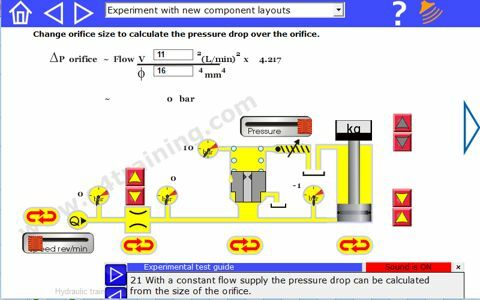 Learn the basic formulas that govern hydraulic equipment and experiment with formula values in the visual calculators. 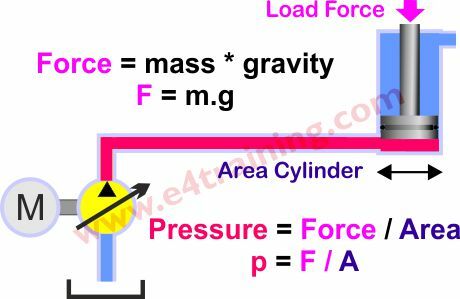 Formulas governing hydraulic force and pressure. What generates and what uses the hydraulic power. 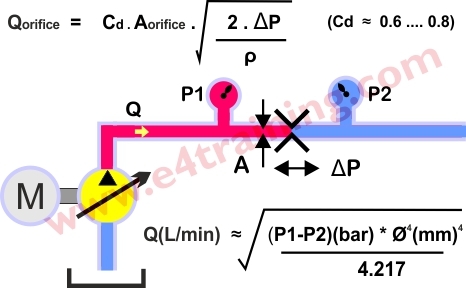 Formulas governing hydraulic power and torque and efficiency. Where system losses and inefficiencies occur and why they should be kept to a minimum. Open and closed centre valves. Pressure relief valve and pressure reducing valve. Flow control orifice and pressure compensated flow control valve. Fixed displacement and pressure compensated pumps. This module will NOT cover or apply to any specific equipment or industry. It is intended to lay down the basic building blocks for hydraulic circuit design without giving enough detail to explain specific mobile or industrial applications. People who want to learn how to maintain or design hydraulically driven equipment. 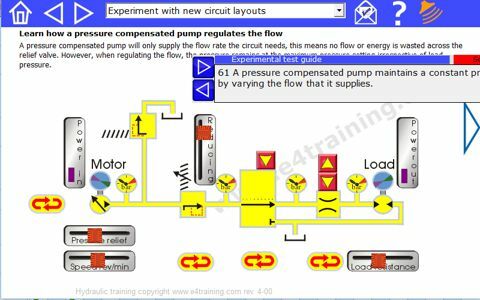 Students must appreciate where hydraulics is used and have a basic understanding of the components used and design of a simple hydraulic circuit.